Ashton Turner's 84 runs knock stunned India. Looking to bounce back after suffering a setback at Ranchi, India took on Australia in the 4th ODI at Mohali. India's skipper Virat Kohli won the toss for the second consecutive time in the series and decided to bat first. The Indian batsmen justified their skipper's decision to bat first by posting a huge score of 358/9 on the back a superb hundred by Shikhar Dhawan and 95-run knock by Rohit Sharma along with meaningful contributions from Rishabh Pant and Vijay Shankar down the order. 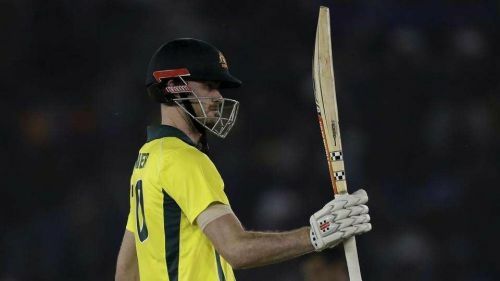 Chasing a huge score of 359, the Australian team cantered home in just 47.3 overs riding on brilliant knocks by Peter Handscomb and Usman Khawaja and some brutal hitting by Ashton Turner towards the end to level the 5-match ODI series at 2-2. With the match done and dusted, let's see how the players from both sides fared in these thrilling encounter. Shikhar Dhawan's 143 runs knock went in vain. After poor outings in the first 3 ODIs, Rohit returned to form with a fine innings of 95 runs off 92 balls and also added a big 193-run partnership for the opening wicket with Shikhar Dhawan. 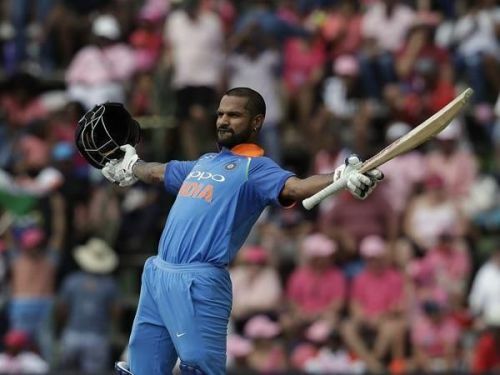 Just like his opening partner, Shikhar Dhawan too roared back to form by scoring a brilliant 143 runs off just 115 balls. However, Dhawan did drop a simple catch of Ashton Turner while fielding, which reflects in the ratings. Replacing an out of form Ambati Rayudu, KL Rahul looked good in touch and scored 26 runs off 31 balls before losing his wicket to Adam Zampa while trying to play a cheeky late cut. Playing in place of a rested MS Dhoni, Rishabh Pant had a great day with the bat as he scored a quickfire 36 runs off just 24 balls to provide late impetus to Indian innings. But, Pant had a shoddy day behind the stumps as he missed a couple of stumping chances which proved costly in the end, thereby reducing a few points. Jadhav had a bad game as he could score just 10 runs with the bat and conceded 44 runs in just 5 overs with the ball. The all-rounder provided the finishing touches to the Indian innings by scoring a quickfire 26 runs off just 15 balls and also was India's most economical bowler in today's game with a spell of 5-0-29-0. Despite a good opening spell in which he dismissed Aaron Finch, Bhuvi clearly looked short of match practice as he was taken to cleaners in the death overs by Ashton Turner and ended up bowling an expensive spell 9-0-67-1. Kuldeep had a rare off-day with as he conceded 64 runs in his 10 overs and could pick up just one wicket. Chahal was India's most expensive bowler in today's match as he conceded 80 runs in his 10 overs spell. Bumrah was India's best bowler on display as he picked up 3 wickets but conceded 63 runs at an expensive economy rate of 7.13.